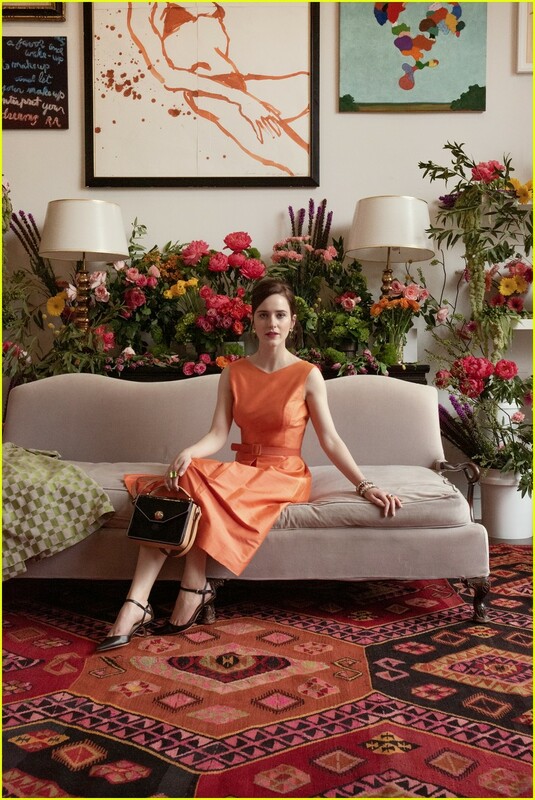 Rachel Brosnahan is the new face of Frances Valentine! The 27-year-old actress is honoring her late aunt Kate Spade in the new campaign for her clothing company. The Spring 2019 campaign, which was shot by Maggie Cepis, pays tribute to Kate and features handbags, shoes and jewelry. Love pretty much every stitch of those clothes and the pics are great. I have a sweater similar to the one with the flowers and pearl buttons. Haven't worn it in a long time. The green shoes are adorable. Also taking note of the basket purses. DawnM74, arie_skop, Lalasnake and 1 others like this. I'm loving the '60s boho thing going on here. She's so pretty, and her delivery is great, she's a joy to watch on Maisel.